This is Just livin' life with Nobue and BK. A show where BK and Nobue discuss candidly the ups and downs of relationships, friendships, parenting (from their inexperienced perspective at least) and life in general. 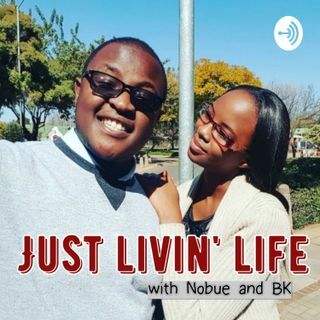 If you find any value in what we are doing and would like to hear more episodes, please take a look at our Patreon page at www.patreon.com/justlivinlife and consider supporting us. It may be just a dollar for you but its a huge milestone for us.